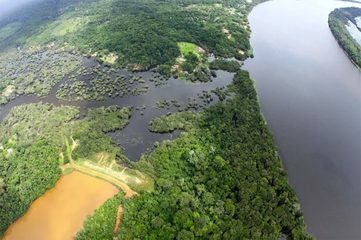 MRN Dam (lake with reddish colour water) and Quilombo Boa Vista on the other bank. - Photo: Carlos Penteado. The municipality of Oriximina, located in the West of Para, has today 35 quilombolas communities spread over 9 ethnic territories. Among these communities, 25 have the titles to their land. The others have been waiting for several decades for the official recognition of their territories by the Brazilian State. Since 1970, these communities are fighting against the activity of logging and mining companies to defend the integrity of their territories. 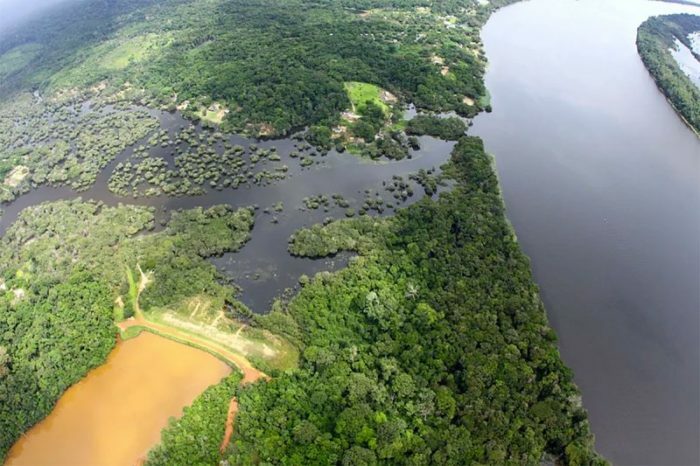 The main mining company currently in action in the municipality is the Mineraçao Rio do Norte - MRN, which holds at least 10 grants to mining, affecting more than 100 thousand hectares. However, at least seven other companies- including BHP Billinto and Vale - already required permission for mining areas in the municipality, being at different stages of the administrative process conducted by the Departamento Nacional de Producao Mineral - DNPM. MRNs activities, and of other smaller mining companies, already forced the migration of hundreds of quilombolas families from their land. These activities are also responsible for extensive deforested areas in Oriximina, mainly around the Quilombo lands. Over the years, the company imposes to quilombolas restrictions on hunting, in agriculture and in gathering forest products, such as Brazil nuts. The struggle of communities for legal titles to their territories and against the impacts caused by the mining companies has received the support of local and national organizations such as Associacao das Comunidades Remanescentes de Quilombos do Municipio de Oriximina - ARQMO, a Coordenacao das Associacoes das Comunidades Remanescentes de Quilombos do Para - Malungu e a Comissao Pro-Indio de Sao Paulo - CPI-SP. The public prosecutors has already filed several lawsuits against the company and achieved important victories, like the suspension of an authorization for deforestation in the Floresta Nacional Saraca-Taquera. Questioned out of court the absence of prior consultation the quilombolas during the environmental licensing of the companys expansion plans and arranged for the Labor Court apply a fine in the company in the amount of 325.000 dollars for recurring violations of labor laws relating to right to rest of its workers, submitted them to working hours above the limits fixed by the Brazilian labor legislation. 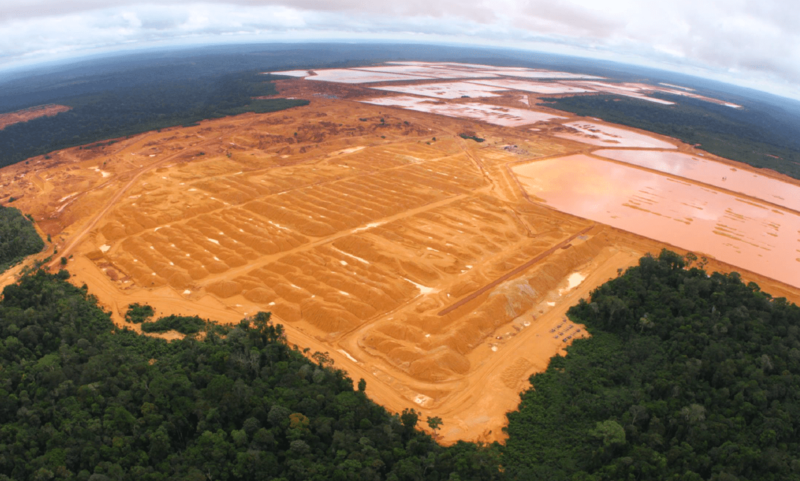 Project Details MRN has ability to extract 18 million tons of bauxite per year. The bauxite extraction is made at a depth of eight feet. Trains with 46 wagons are used to transport bauxite from the mine until the Trombetas Port. From the port the ore is transported by ships with capacity for up to 60 thousand tons. A waterway is maintained to allow the passage of ships. Why? Explain briefly. Mining continues to cause impacts to communities and the problems related to them were not tackled effectively. ORGANIZACAO INTERNACIONAL DO TRABALHO. Convencao 169 sobre Povos Indigenas e Tribais. BRASIL. Presidencia da Republica. Casa Civil. LEI No 9.985, DE 18 DE JULHO DE 2000: Regulamenta o art. 225, 1o, incisos I, II, III e VII da Constituicao Federal, institui o Sistema Nacional de Unidades de Conservacao da Natureza e da outras providencias. WANDERLEY, Luiz Jardim de Moraes. O Grande Projeto Minerador e Seus Impactos Territoriais de Localizacao: O Caso da MRN Em Oriximina-PA. Grupo de Pesquisa Mineracao e Desenvolvimento Sustentavel. Acesso em: 13 jul. 2009. MAPA DA INJUSTICA AMBIENTAL E SAUDE NO BRASIL. Poder estatal e dominacao territorial contra os quilombolas extrativistas do Trombetas. ANDRADE, L.M.M. Terras Quilombolas em Oriximin: presses e ameaas. Comisso Pr-ndio de So Paulo. So Paulo: out. 2011, 44 p. 2011. PYL, Bianca. MPF convoca reuniao para tratar de exploracao mineral em Terras Quilombolas do Para. Brasil de Fato, 23 out. 2012. MPF/PA questiona IBAMA sobre regularidade de exploracao mineraria na floresta nacional (flona) Saraca-Taquera. Ecodebate, 21 set. 2012. PROCURADORIA REGIONAL DO TRABALHO DA 8th REGIAO. Mineracao Rio do Norte e condenada a pagar mais de 650 mil em danos morais coletivos por praticar excesso de jornada. 30 nov. 2012. MRN Dam (lake with reddish colour water) and Quilombo Boa Vista on the other bank. Photo: Carlos Penteado.